There is always something new to see and do at Drusillas Park and this year is no exception. In 2017, Drusillas Park is delighted to be introducing a brand new attraction which will be known as Go Safari! 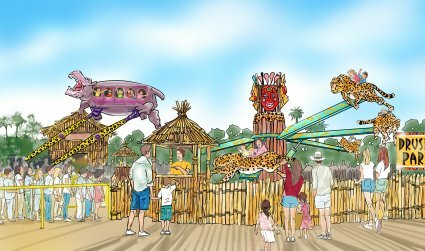 The totally wild new area will cause quite a fu'roar amongst young lionhearted explorers, with three exciting children's rides; the Hippopotobus, Flying Cheetahs and the Safari Express train. Managing Director, Laurence Smith commented: “The plans are well underway and we are totally committed to the project. This is a million pound investment for us – our biggest undertaking ever – and we think that once it’s in place it will be a great success and very popular." 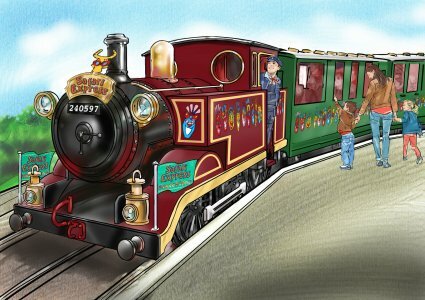 The Safari Express train is expected to leave Mungo's Central Station for the first time on Friday 31st March, with the Hippobotobus and Flying Cheetahs ready for take-off by June. See our Go Safari! page for more details.